Recently, one of the local kids football teams – the Blidworth Warriors’ – held a fundraising event hoping to raise sufficient funds to help with buying trophies for their talented young players. The club got in touch to ask if there was anything I would be willing to donate to the cause and I was more than happy to offer a gift voucher which included a location photo shoot and a selection of fabulous goodies. The lucky winner of that prize was Lauren. 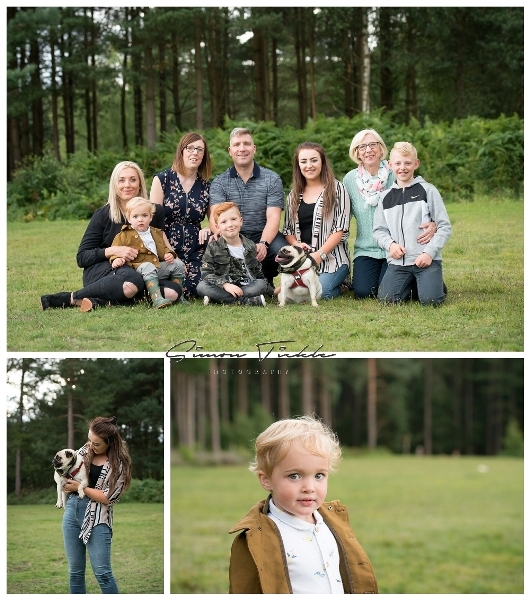 Trying to get lots of family members together for a photo shoot is always a challenge, but we arranged to meet one evening in the local forest. 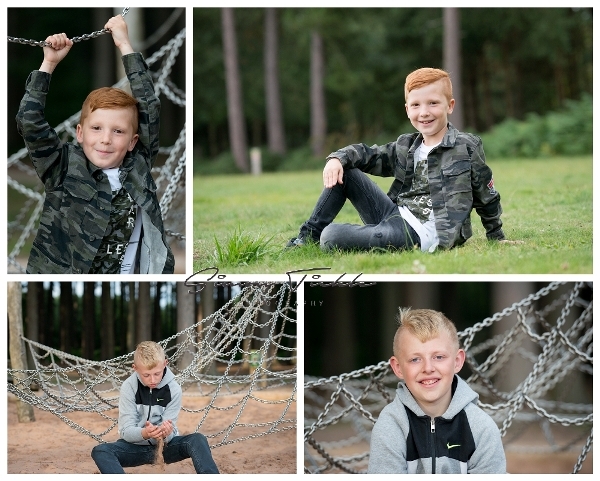 We had great fun photographing plenty of images of the kids and adults by themselves, along with lots of group images for the family album. We even managed to sneak in a few portraits of Lauren’s pet dog. It was a privilege to photograph this session and create memories that will last a lifetime. If you would like to book a family photo shoot, why not get in touch? I’d love to discuss the options with you.